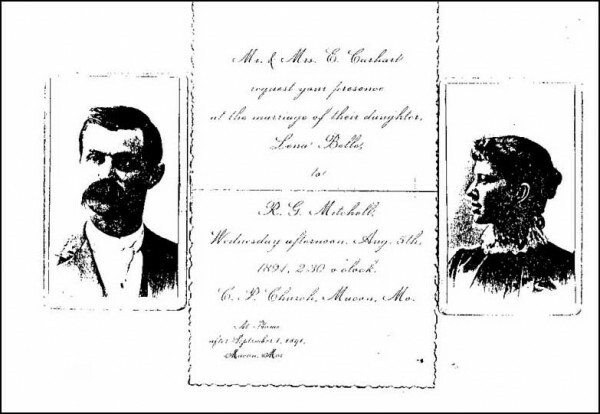 Wedding photos of Robert Gwyn Mitchell and Lena Bell Carhart who were married 1891 August 5 in Macon County, Missouri, obtained from Dorothy Mitchell McClure. 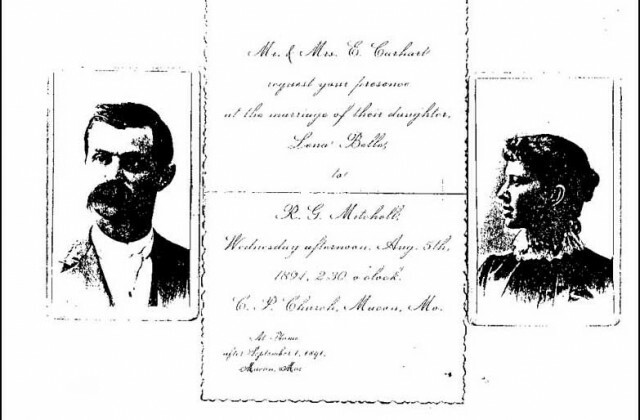 Families with Carhart and associated photos are out there wandering the internet. Please, if you have Carhart and/or related family photos, contact me. I would love to have digital copies to place on the blog for all to enjoy and to link to your website should you have one.